They are like coffee for your feet. Or healthier yet, a nutrient dense shot of wheatgrass juice that blasts life into every cell giving the whole organism a perk up. The little nubs on these funny looking domes hit all of the accu-points, meridians, feel-good buttons or whatever you call them on your feet to provide a bittersweet experience that comes with a lasting energy burst. My Yamuna Foot Wakers are actually one of My Favorite Things. They can be a bliss maker one moment and a pain maker the next. When you stand on the Foot Wakers (or even from sitting) the nubs dig deep for the ultimate in deep luxury massage but find a tender spot you didn’t know you had and ouch those Wakers can Mr. Hyde into a torture device. According to reflexology and Chinese medicine, those excruciatingly painful tender spots in your feet correspond to an area of your body that may be experiencing an energy blockage. Working on your feet in this way clears those blockages. When my muscles are tight from regular strength training I spend alot more time rollling out all of my muscles and I’ll spend a few minutes using my Foot Wakers. When my feet are sore and achy with tender spots. A quick simple way to find & eliminate painful spots. They are invigorating. A surprising burst of energy can be felt along the whole leg and rest of the body. For foot strength. The years we spend wearing shoes weaken our intrinsic foot muscles leaving us with ‘floppy feet’ that are not ideal for weight bearing, postural alignment and performance. Standing on my Foot Wakers develops the intrinsic foot muscles that I need for ideal posture, running and preventing back pain. I have had my Yamuna Foot Wakers for at least 5 years. I’d be disappointed if I had to purchase a pair now, they are very pricey at around $60 a pair, although that’s a lot less expensive than a massage therapist, they are very durable, can be inflated with a needle for firmness and are easy to store. Put them on your wish list! Do you have a pair of foot wakers? How do you use them? Do you get an energy burst? 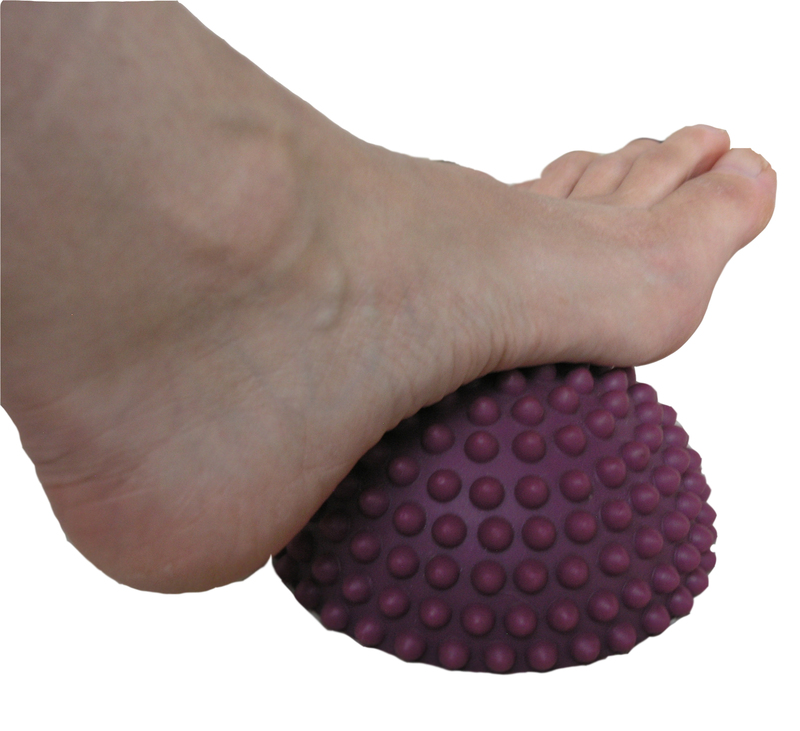 What other tools do you use for foot massage, foot strength and working out the sore spots?